In a small remote corner I sit listening to quietness as I begin to collect my thoughts to write this post. I was thirsty to write for the last couple of days but it seems as if distractions would get in my way. So, today I finally committed to writing a post before 2014 slips quietly in the background. Every year I plan my New Year’s Eve getaway with my daughter but this year I find myself in a holding pattern simply resting for this New Year’s Eve festive. My daughter was not happy that we were going to be staying home this year. However, I always spend my life chasing the next adventure. It seems fitting to sit still and bring in the new year in a meditative state. I enjoy traveling yet if I am always moving how can I began to hear God’s plans for my life. This year I am going to be vegging out with a friend and watching movies while our kids enjoy each other company. I even suggested to my friend that we could write our future self a letter declaring our greatness for the year ahead. I believe this will cultivate a new beginning for our lives. Many people are declaring 2015 is their year but I am fed up with the clichés and just want to produce results in 2015. We constantly make vision boards year after year but refuse to change our mindsets. We fail to realize if our mind is not made up to live different or experience anything new then every year will be the same until we change our mind. In order for 2015 to be a new year it will be important to renew your mindset. I believe writing a letter to my future self will start 2015 in a forward motion. Whatever, your ritual or holiday tradition is to bring in the New Year I challenge you to take a couple hours to clear your mind and become intentional about creating the life you want for 2015. 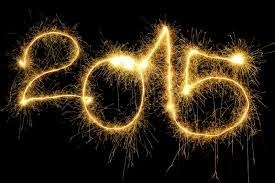 As you become intentional make plans to follow through with completing them to make 2015 the best year of your life!